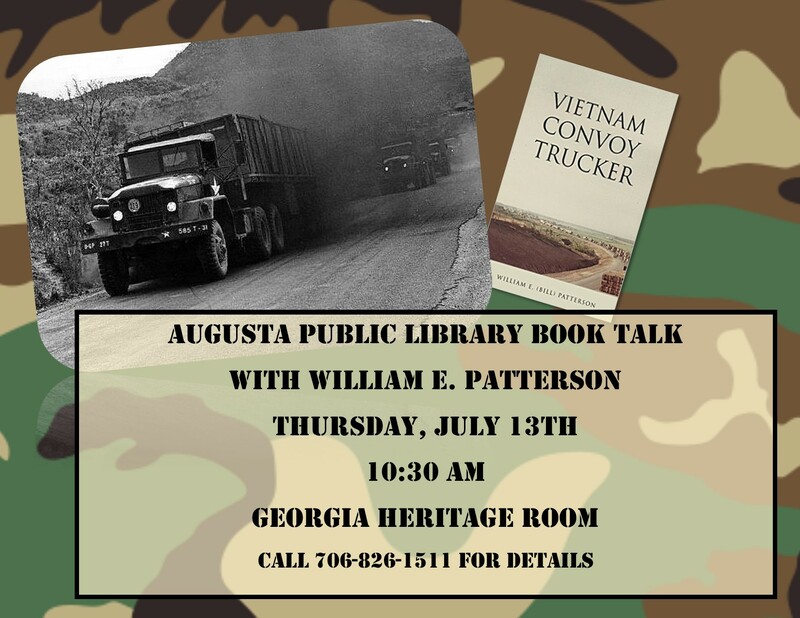 Vietnam Convoy Trucker recounts the story of Specialist Five William (Bill) Patterson, as he and his fellow truck drivers delivered supplies to American combat troops battling the North Vietnamese Army and Viet Cong. The men experienced moments of fear, boredom and humor during their almost year-long tour during the Vietnam War in the late 1960s. Various members of the company took the photographs that accompany many of the incidents he describes. William E. (“Bill”) Patterson was born in Augusta in 1943, one of seven children. He attended public schools, and used his G.I. Bill benefit and graduated from Augusta College. He was awarded the U.S. Army Commendation Medal for his Vietnam War service. He hopes his fellow Vietnam War Veterans and others will find this book worth reading.